The City has successfully used catalyst projects to spur revitalization, and continues to use this strategy. Catalyst projects make an area more attractive to live and invest in, bringing more diversity, vibrancy and energy to downtown Edmonton. The City is breathing new life into a long-neglected area of downtown and the future looks bright. The City is greening the downtown by converting a parking lot into a community park. 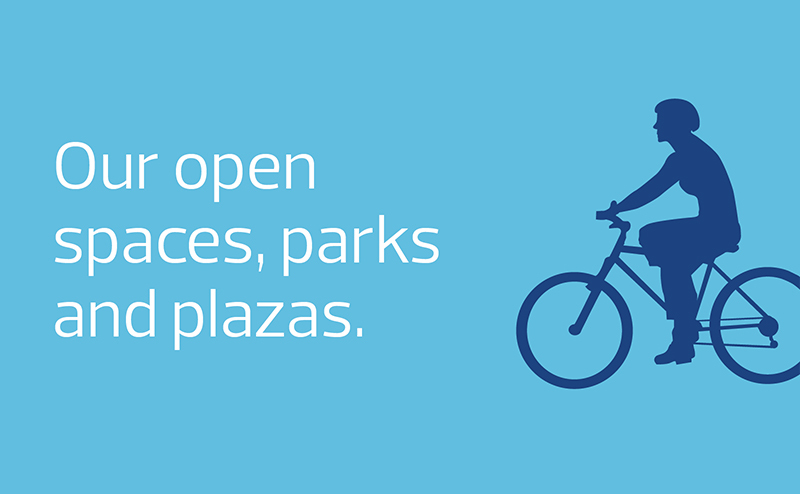 A vision to make downtown more accessible, easier to navigate and more pleasant for pedestrians. Capital Boulevard – 108 Street between 99 Avenue and 104 Avenue has been transformed by beautiful streetscape improvements that make it more pedestrian-friendly. Jasper Avenue – This project will re-establish Jasper Avenue as the main street of Edmonton, making it a place all Edmontonians can be proud of as well as a symbol of the vitality of the downtown and Edmonton as a whole. Central Warehouse Housing Initiative – a push to redevelop the largely undeveloped Central Warehouse area of downtown through medium-density, family oriented residences. Warehouse Campus Central Park – the development of a major park in this underdeveloped northwest area of downtown. 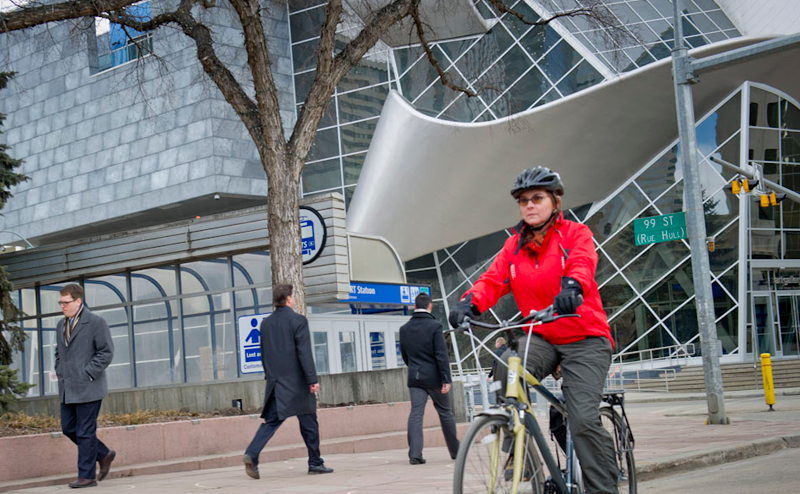 Civic Precinct – a number of improvements to this area at the very heart of the downtown core are planned, including the construction of an at-grade LRT station on 102 Avenue. River Valley Promenades – a program of expansion and enhancement of the pedestrian connections to the Heritage Trail system in the downtown, improving access to the river valley and downtown neighbourhoods. Enterprise Square – an art gallery created in partnership with the University of Alberta that presents a new opportunity for collaboration between the City of Edmonton and the University of Alberta. There are a number of major public projects planned for downtown Edmonton. These projects along with other catalyst projects make the area a more attractive place to live and invest in, bringing more diversity, vibrancy and energy to downtown Edmonton. The following projects are at different stages of the planning process, and will go to Edmonton City Council for further direction. Royal Alberta Museum - The new Royal Alberta Museum in downtown Edmonton will be a provincial museum well-equipped for the future - a museum with the room, accessibility, and connections it needs to become an iconic institution respected around the world. Norquest College - Opening in the fall of 2017, the new 4-storey, 22,500 square-metre facility will be built on 108 Street and 103 Avenue. The new Centre for Learning will have 24 classrooms, 27 labs, an aboriginal ceremonial room and a daycare centre. MacEwan University – The Single Sustainable Campus Plan is a vision to create a new world-class undergraduate university campus that will bring over 17,000 vibrant young adults into Edmonton’s Downtown core. By unifying its campuses Downtown, MacEwan University will bring new avenues of arts and culture to the community at large while accommodating the demands of increased student enrollment. Stanley A. Milner Library Renovation - The renovation will bring the building up to the mechanical, electrical, fire safety, interconnected floor space, and seismic requirements of the current Alberta Building Code. Upgrades to the lighting and control systems will allow the structure to achieve a minimum LEED-NC Silver certification. More importantly, the new design clearly reflects the Edmonton Public Library’s values and fulfills its contemporary program needs. Federal Building and Centennial Plaza Project - Renewal of the Federal Building and construction of a new public plaza and parkade increases public space at the Legislature grounds and provides year-round recreational opportunities for visitors. Design highlights include water features and green space, and a new west entrance pavilion for the Federal Building. The project also creates options for future redevelopment of the grounds and help kick-start the revitalization of the Edmonton’s downtown. Kelley Ramsey Building - Plans to completely redevelop the Kelly Ramsey building are well underway The iconic building will see a complete renovation of its existing structure plus the construction of a 24-story tower above it. The Kelly Ramsey building will be a welcomed architectural addition to Rice Howard Way and the financial core. Quarters Hotel - A luxury hotel in the Quarters Downtown is underway at the Northeast corner of Jasper Avenue and 96th Street. This 12-storey mixed-use building consists of approximately 230 hotel rooms and ground level commercial space. Edmonton Arena District (EAD) - Anchored by a public plaza, the EAD will house an upscale hotel, office, condominium and rental apartments, and a variety of retail and entertainment attractions. It is being designed as an urban destination that is true to Edmonton’s character and unlike anything in North America. The Ultima - Rising 32 stories at 10238 103rd Street, it is located across the street from City Centre mall and steps away from the upcoming Downtown Arena. It will feature an exquisite two-story lobby, underground parking, oversized floor to ceiling windows and curtain wall glass. Fox Towers - Two high-rise condominiums are being built on the Northwest corner of 104th Street and 102nd Avenue. This site has been vacant for many years and will contribute to the development of the 104th Street warehouse district. Mayfair Village North - A new apartment development by ProCura currently under construction at 10815 Jasper Avenue Northwest in Edmonton. The development is scheduled for completion in 2016 and has a total of 234 units. Seventh Street Annex - A new project from Dub Architects on 107 Street and 104 Avenue will consist of a 10 storey mixed-use building.